The Eagle Manor estate resides in the middle of one of the most important stopover migration sites in the eastern United States. During migration, waves of songbirds “fall out” along the Eagle Manor marsh after crossing the Delaware Bay. Waterfowl use the marshes and fields extensively for feeding, resting, and nesting. Bald eagles and ospreys often roost in the trees overlooking the manor. Eagle Manor also lies along the coastal migration route for raptors allowing one to observe a vast array of birds of prey. Eagle Manor is a little-known jewel surrounded by vast marshlands and bounded by the Delaware Bay to the west. The fields, small woodlots, and forested wetlands provide a mosaic of critical resting, nesting and feeding habitat attractive to a variety of wildlife. Its somewhat remote location keeps it off the beaten path, which is appealing for many wildlife watchers. 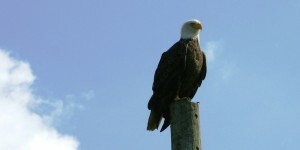 Take a walk on the old dike in any season to see Bald Eagle and Osprey in the summer months. At least three nests are visible across the mudflats created when the dike breached several decades ago. This is a great place to see waterfowl, herons, egrets and wading birds. The forests provide ideal nesting habitat for a number of raptors and virtually every resident woodland passerine found in this part of New Jersey nests here. The hedgerows between the fields are favored by sparrows, warblers and songbirds. The roads are generally unpaved but are easily driven without a four-wheel drive vehicle except after heavy rains or following significant snow fall. Winter: Snow Geese winter here by the thousands and Northern Pintail, American Black Duck and Bufflehead are almost guaranteed. Northern Harrier patrol the marshes. Eagles are often seen overhead or perched in the snags along the edge of the marsh. Great Horned Owl mate in late December and are on their nests in January. Bald Eagle do the same in February. Spring: Southern migrants arrive and may be found flitting through the fields and forest at this site. Some are just stopping by while others are here to stay through the summer. Look for Indigo Bunting, Blue Grosbeak and American Goldfinch along the field edges. 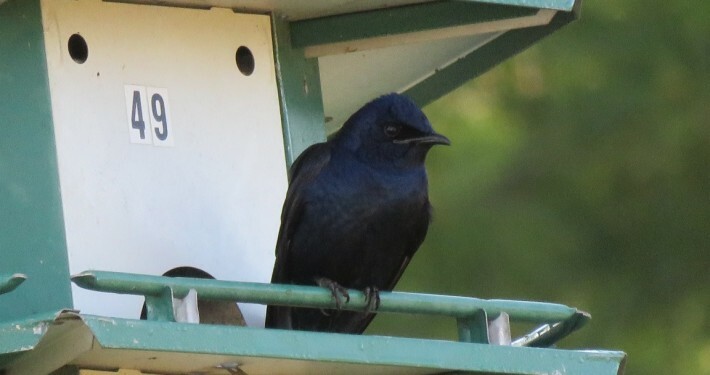 Northern Cardinal, Northern Mockingbird, Carolina Chickadee, Carolina Wren, Wood Thrush and White-breasted Nuthatch are some of the many summer residents that nest in the forest here. Osprey arrive in March to begin building and/or repairing nests for their summer stay. The wetlands are active as herons, egrets and Clapper Rail search for food at the shoreline, alongside mammals, reptiles and insects of the marshland. Summer: Wildflowers are in bloom in the fields and forest and deer, fox, raccoon, muskrat, rabbit, squirrel and skunk are active. On some days, hot weather and high humidity can make the river’s edge uncomfortable for visitors, but the possible rewards in wildlife viewing make it a small price to pay. As at all times of the year at this site, a trip to the boat launch to scan for Bald Eagle is worth at least a half an hour of effort. Fall: This is changeover time. As the trees turn from green to gold to red, bird migration is in full swing. Various wood warblers and other passerines stop here on their way south. Some of the summer nesters, such as the Osprey, prepare to leave; others such as Northern Cardinal and Carolina Wren stay through the winter. Migrating raptors, such as Sharp-shinned, Cooper’s and Red-tailed Hawks, and falcons, may be seen overhead. Along the Bayshore, raptors move both north and south, either heading directly south toward Cape May Point, or turning northwest to find a shorter crossing of the Delaware Bay. Please consult NJ Wildlife Trails for more details. 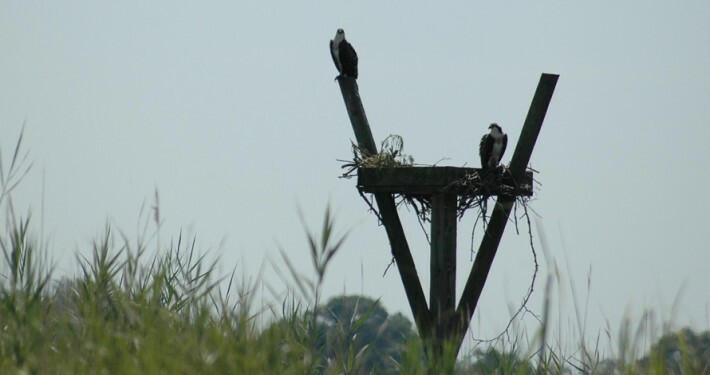 The lands that buffer and border the Cohansey River are home to the largest nesting population of bald eagles in New Jersey. 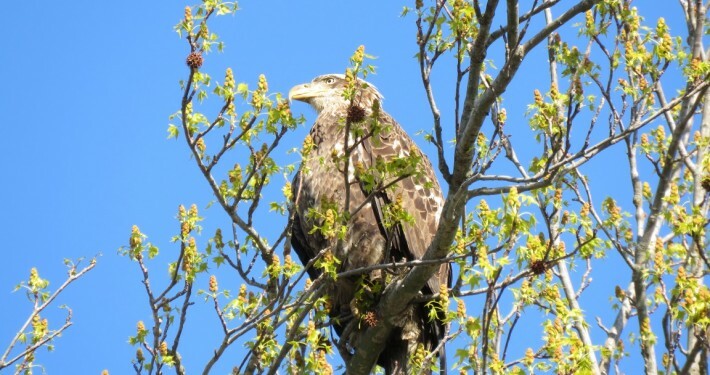 According to the annual NJ Ealge Manor survey, there are at lest 13 pairs of nesting bald eagles that reside in the Cohansey River Watershed. 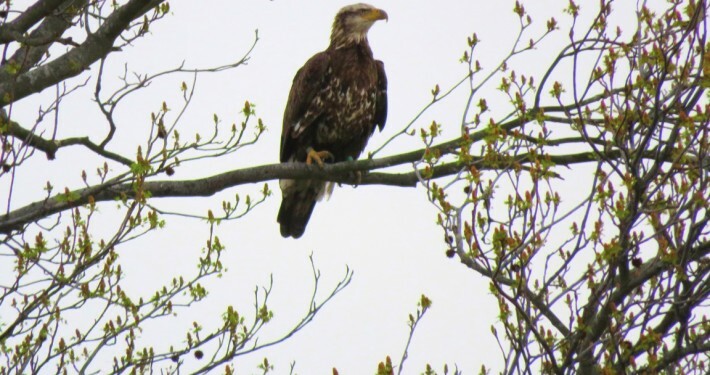 This makes the Cohansey River home to the most nesting pairs of bald eagles in the entire state of New Jersey. 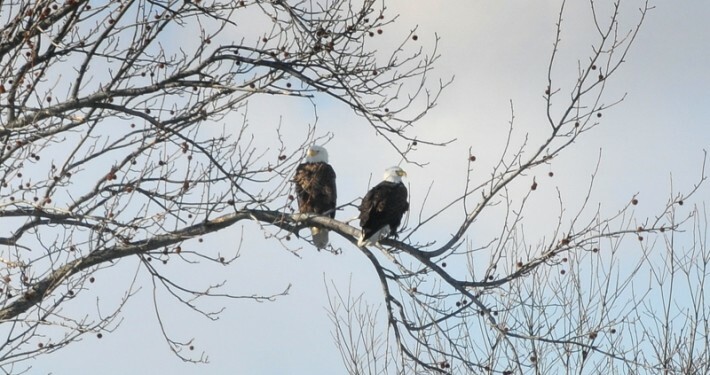 Furthermore, on Conserve Wildlife’s midwinter eagle count, a total of 30 bald eagles were counted in the Cohansey River Watershed. Those eagles regularly roost in the gum tree directly above Eagle Manor including the tagged immature Bald Eagle pictured above. 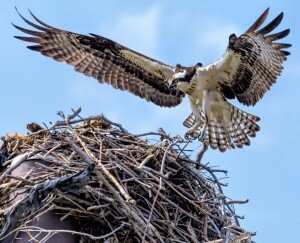 Known as the birds of summer, Osprey arrive in March to begin building and/or repairing nests for their summer stay. The lands surrounding Eagle Manor are an ideal breeding location for these state-threatened birds. A short hike or kayak ride around the grounds during the summer guarantees a sighting. They are often seen sparing with Bald Eagles who are notorious for stealing their catches. The manor estate resides in the middle of one of the most important stopover migration sites in the eastern United States. 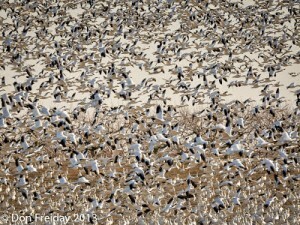 During migration, waves of songbirds “fall out” along the Eagle Manor marsh after crossing the Delaware Bay. Waterfowl use the marshes and fields extensively for feeding, resting, and nesting. Eagle manor also lies along the coastal migration route for raptors allowing one to observe a vast array of birds of prey. During the fall migration, raptors, such as Sharp-shinned, Cooper’s and Red-tailed Hawks, and falcons, may be seen overhead. Along the Bayshore, raptors move both north and south resting along the Cohansey River either before or after their bay crossing. 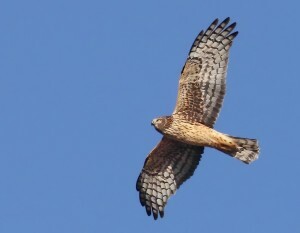 The river corridor and adjoining uplands also support breeding pairs of state-special concern Cooper’s hawk, Northern harrier and large numbers of waterfowl, shorebirds, wading birds and songbirds. Other rare species include Black-billed Cuckoo, Bobolink, Merlin, Yellow-crowned night heron, Sandhill crane, Bobwhite quail, Northern pine snake, Southern gray tree frog, and Northern diamondback terrapin. Birding, Hunting, Fishing, Boating,Water Skiing, Kayaking, Paddle Boarding, Biking, Hiking, Horseback Riding, Campfires and more.